Bob, Petch, and Lynne from the Medina store have some Halloween fun demonstrating what happens to a Bandito when he tries to steal a bike from Captain Jack and Mary Cricket! 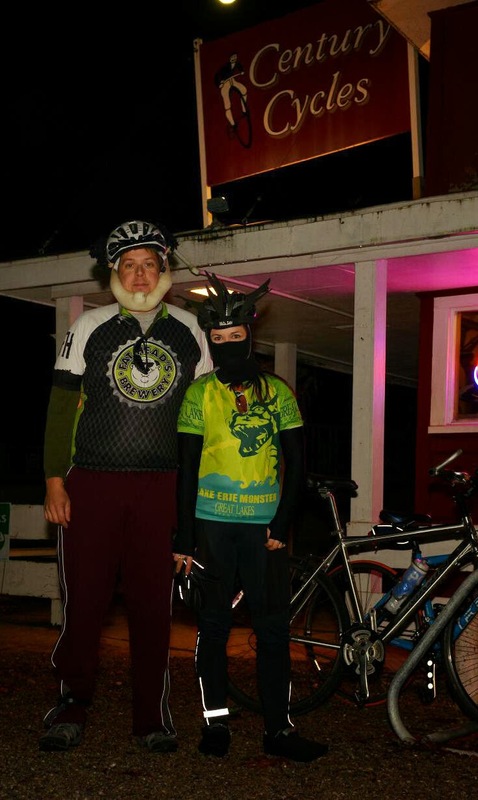 Here's to a fun and safe Halloween to you, hopefully on your bicycles! With over 22,000 acres of walking trails, bike paths, nature reserves, community spaces, and a nationally acclaimed Zoo, Our Cleveland Metroparks have a significant impact on our community’s quality of life. 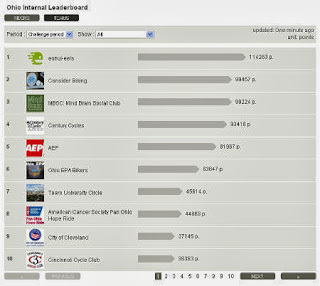 Nearly 75% of area residents visit Cleveland Metroparks annually. 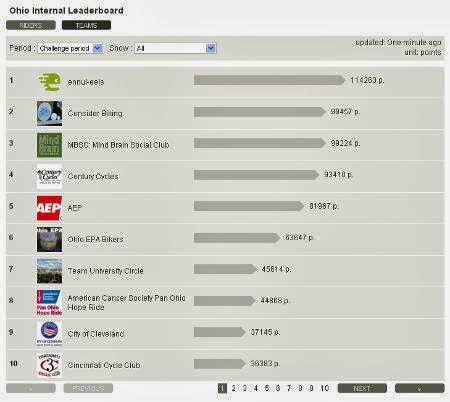 Cleveland Metroparks has shown their commitment to Northeast Ohio bicyclists with events and programs to make riding on the Metroparks roadways safer, and committing to over 24 miles of mountain biking trails in 2014. 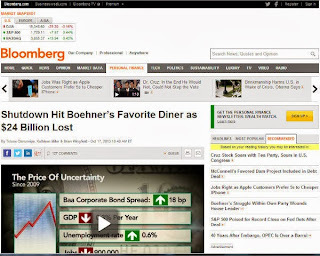 The last levy passed in 2004. Our Parks Are Worth It and the November levy will protect our Emerald Necklace. 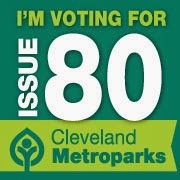 Please help us spread the word about this issue and why Our Cleveland Metroparks need your support! Metro Parks, Serving Summit County is also seeking approval for a renewal levy. 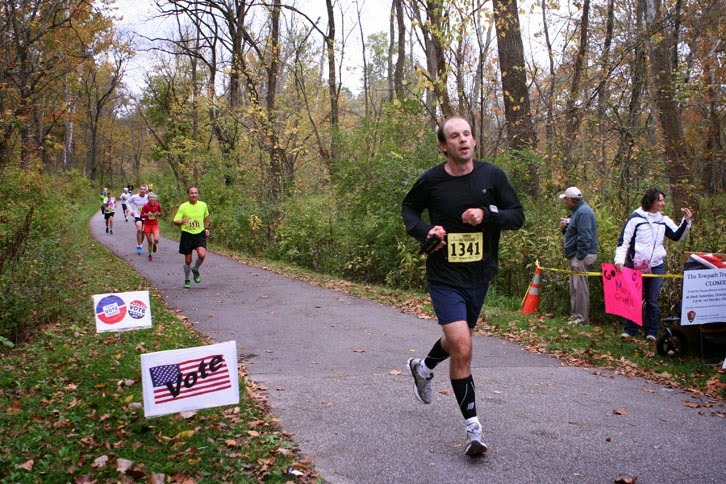 Voting YES on Issue 2 will provide funding for continued operation and maintenance of 14 parks and 125 miles of trails, including the Bike & Hike Trail, the Freedom Trail, and the Ohio & Erie Canal Towpath Trail. In 2012, Summit County became the first county of the four that the Towpath Trail runs through to have the trail completed within the length of the county. Work has just begun on the first mountain biking trail in the Metro Parks system, at Hampton Hills Park. 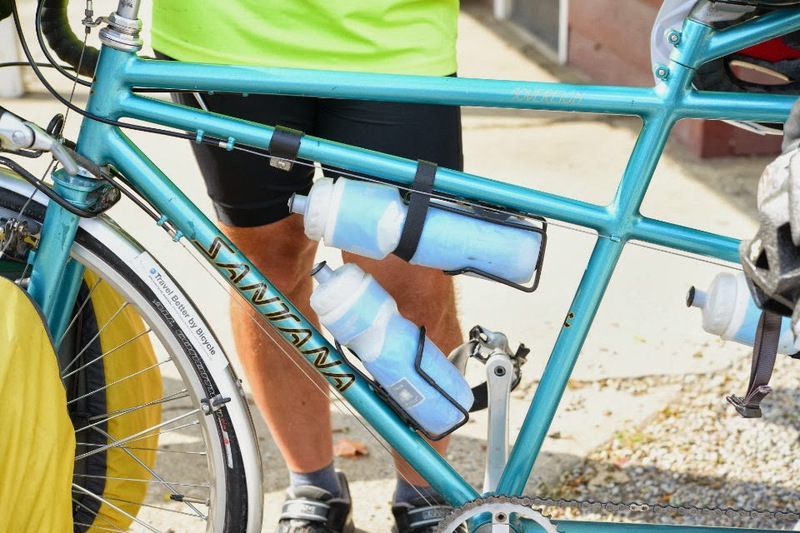 These two great parks organizations are an asset to cyclists and everyone in the region, and we feel they are worth our support! 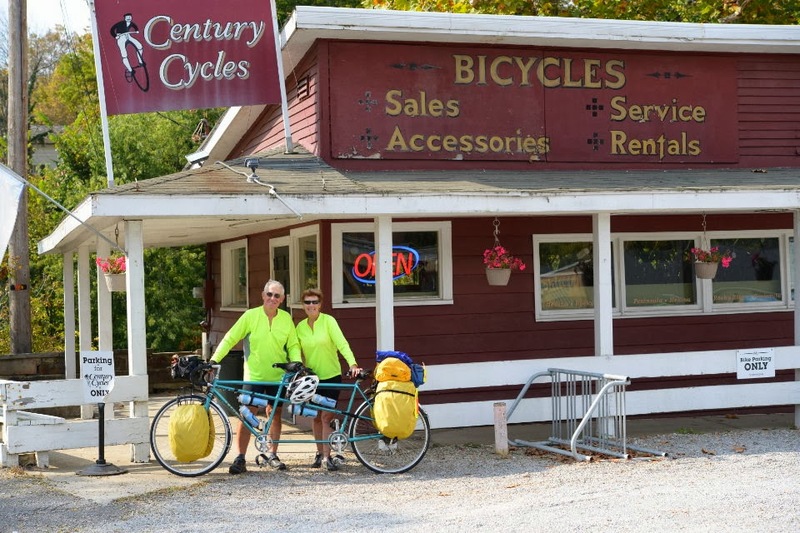 A group of three friends who are customers at the Century Cycles store in Rocky River recently completed a 2,600-mile coast-to-coast ride. 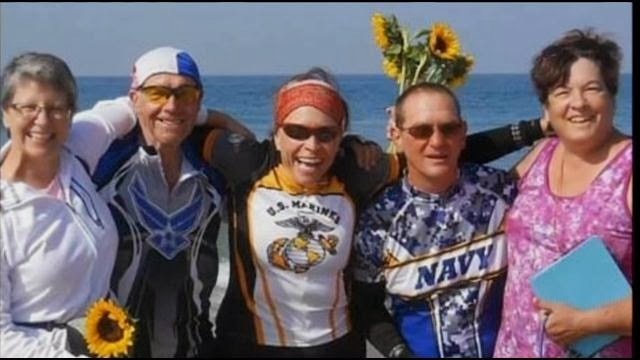 Wynn Gerber, Dan Roob, and Colleen Linn pedaled from Savanna, GA to San Deigo, CA while raising money for the Wounded Warrior Project. Wynn's wife Evelyn followed the group in a support van, and Dan's wife Barbara surprised them and met them for part of the trip. 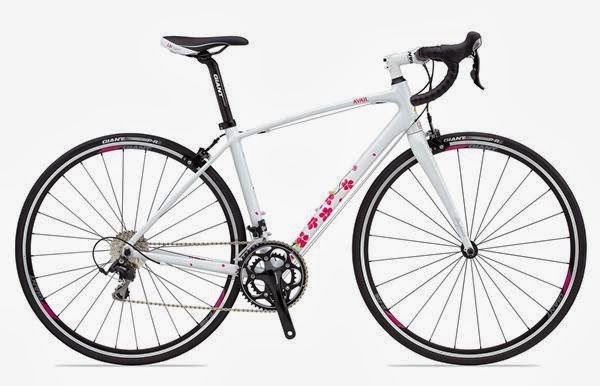 "You guys did the work on my bike prior to my leaving and the bike worked to perfection. Thank you so much." 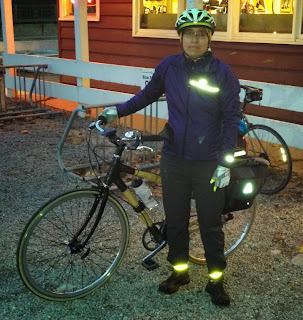 Thank YOU, Wynn, and congratulations to you all on a great bicycling trip! Lynne and Petch from the Century Cycles store in Medina had a great time on Wednesday meeting everyone at the Medina County Employees Health & Wellness Fair! 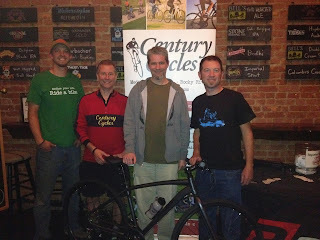 We held a raffle for a $25 Century Cycles Gift Card, and the winner was Amy Montag. Congratulations, Amy! If your company or organization is holding a health or wellness fair, and you'd like us to come and talk about the benefits of cycling, please email us! The Government Shutdown is OVER! Come ride the Towpath Trail! Thankfully, the government shutdown has finally ended! 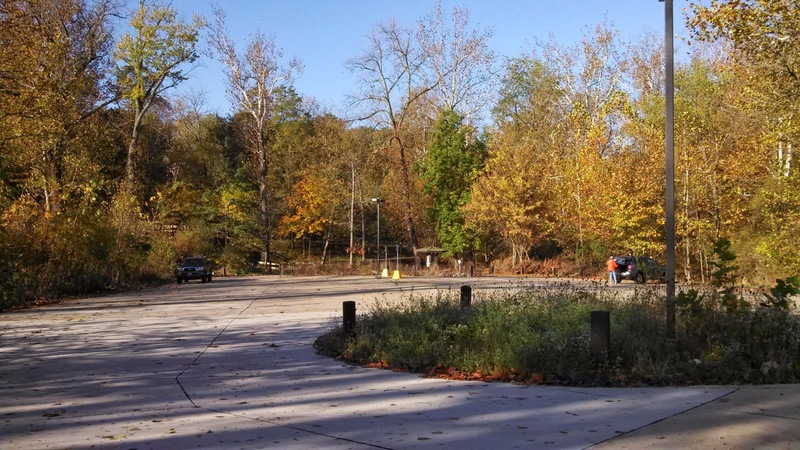 The Cuyahoga Valley National Park is now re-opened to visitors, including the Ohio & Erie Canal Towpath Trail. 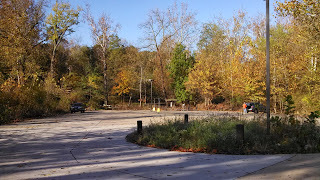 As you can see the barricades have been removed from the Lock 29 Trailhead (photo above), and there's plenty of parking available! 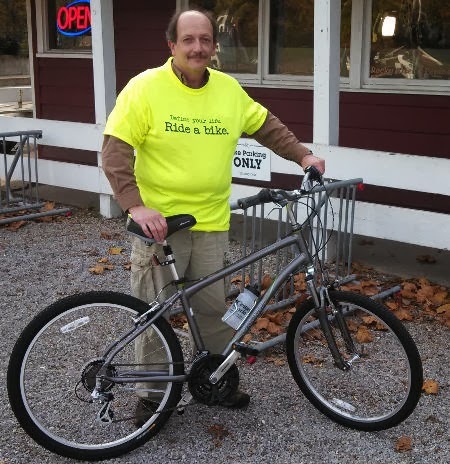 Our bicycle rental service in Peninsula is now open for business! 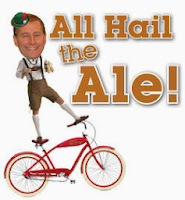 Our "All Hail the Ale!" Night Ride on the Towpath Trail will go on as planned this Saturday, October 19! 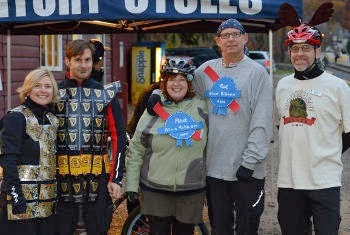 Help us celebrate Cleveland Beer Week by coming dressed as your favorite beer! Anyone in costume is eligible to win door prizes (drawings begin at 7:30pm), and the crowd will vote a grand prize winner for best costume! 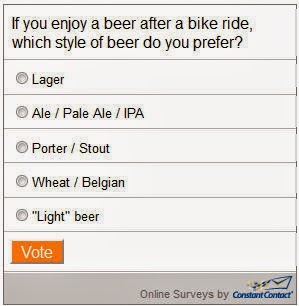 See www.centurycycles.com/for/CleBeerWeek for full details and schedule of events. The Cuyahoga Valley Scenic Railroad is up and running again, and you can enjoy their Bike Aboard! service; $3 gets you a one-way ride between any two train stations with your bicycle. 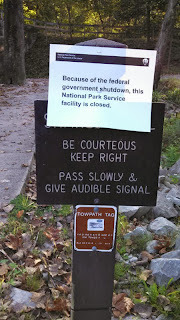 We'd like to extend our thanks to the National Park Service rangers and staff. These LOCAL employees worked through the night to remove the cones and barriers, and had everything re-opened by this morning. Congratulations to John Coleman! 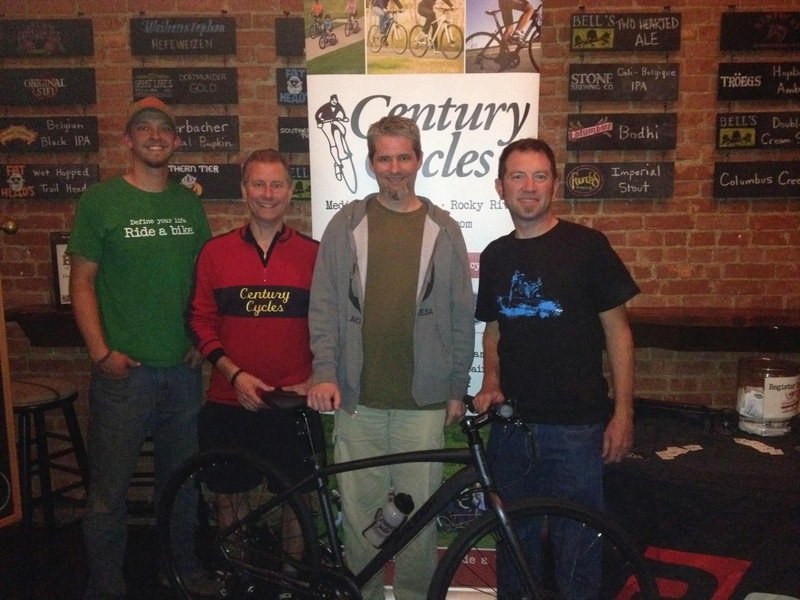 He was the lucky winner of the grand prize drawing for the Raleigh Misceo 2.0 bicycle from Century Cycles and Raleigh Bicycles at the Finale Party of Deagan's Bike Night this past Thursday, October 10! Since June of this year, if you rode your bike to Deagan's Kitchen & Bar (14810 Detroit Ave. in Lakewood) on Thursday nights from 5pm to closing, you got 15% off your total food and drink bill, plus an entry for the prize drawings which took place at the final Bike Night on Thursday. Thanks to Deagan's and Raleigh for teaming up with us for this great event! Enjoy the ride, John! 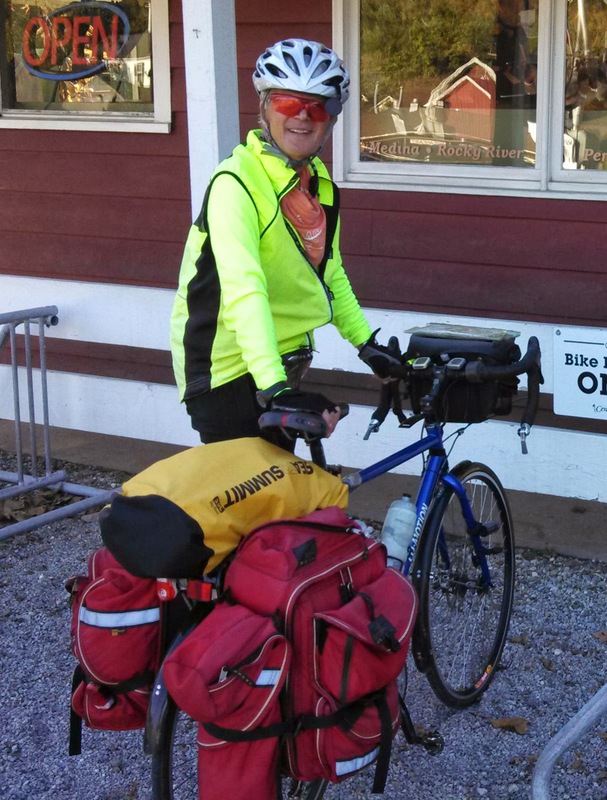 This past Wednesday, the Century Cycles store in Peninsula was paid another visit by someone on a long-distance bike tour. John Hoper hails from Texas, but he was in the Cleveland area for some work-related training, and decided to take a few extra days for a 350-mile bike trip down through Ohio's Amish Country. 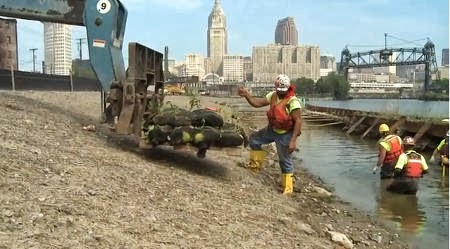 This was the last day of his trip as he made his way back to Cleveland. 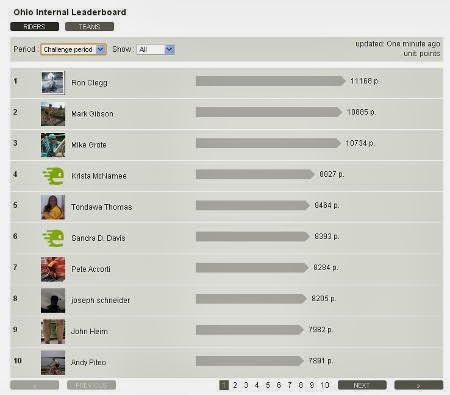 John's trip is a great example of how you don't have to set aside time for a MAJOR (e.g. 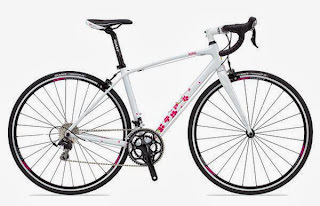 cross-country) trip to enjoy the pleasures of bicycle touring. You can take just a few days, or just one evening on a Sub 24-Hour Overnight. 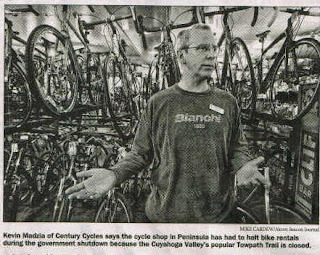 Our extended hours that we began at the Century Cycles store in Peninsula this past August are ending this week. Starting this Sunday, October 13, 2013, we will be open from 12:00 noon until 5:00pm. Hours on all other days remain unchanged. A customer at the Century Cycles store in Medina recently purchased an adult trike. 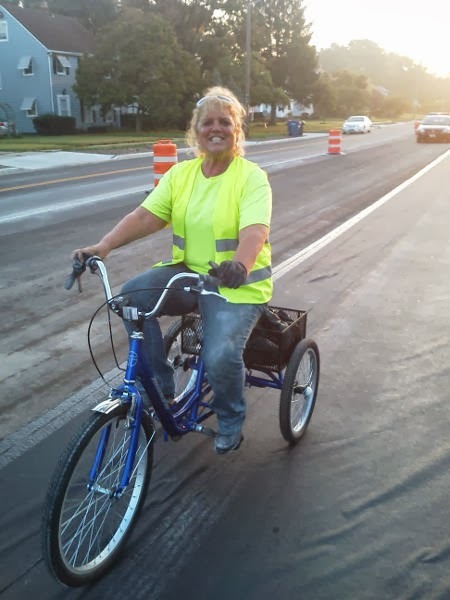 They work for a local construction company, and found that the trike is ideal for carting themselves, supplies, and equipment around the job site! A trike is great for hauling heavy loads -- they're stable, durable, and easy to handle. 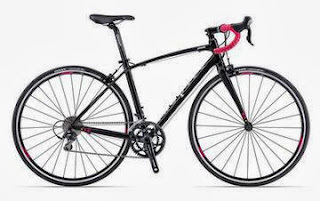 With a high-tensile steel frame and and heavy-duty chrome-plated steel wheels, it can handle loads of up to 500 pounds (combined rider and cargo). $639.99. 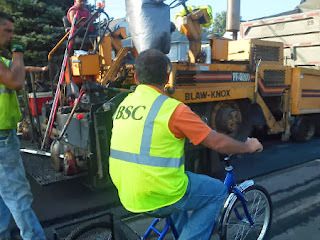 Whether you're on the job or just on the go, check out a cargo trike! 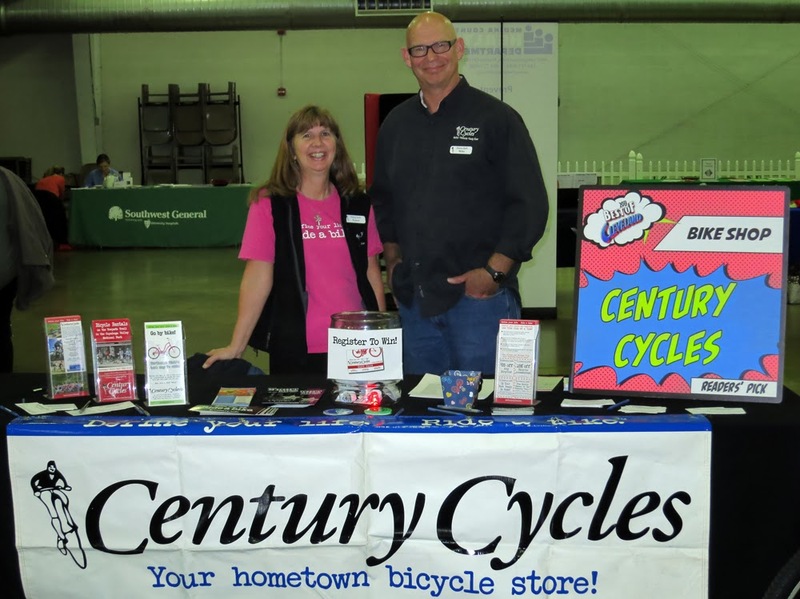 Hob and Deb McConville from Vernon, CT stopped by the Century Cycles store in Peninsula on Oct. 2. 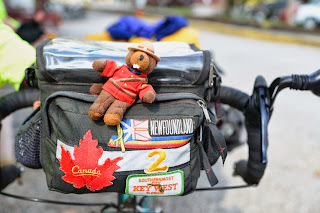 They have ridden from their home through Montreal, Northern Ontario, then south on the Underground Railroad Bicycle Route, which they'll take all the way to Mobile, Alabama, eventually ending their trip in New Orleans. That's no ordinary tandem they're on. 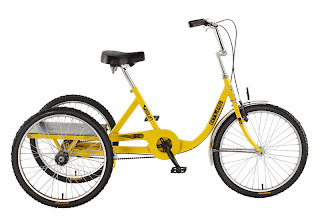 It's 33 years old, and was only the 22nd bicycle produced by Santana. 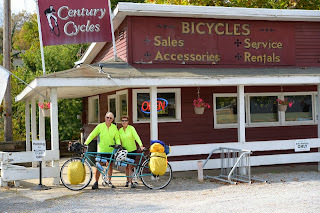 The bike (and the couple) are famous among bike touring and tandem aficionados; they've ridden it over 105,000 miles across four continents! You and your partner can test-ride your own tandem bike at our authorized Santana Test-Ride Center in our Medina store! 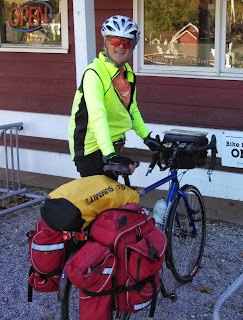 You can see more photos of long-distance cyclists that have visited all three of our stores in our Bicycle Touring Photo Gallery. 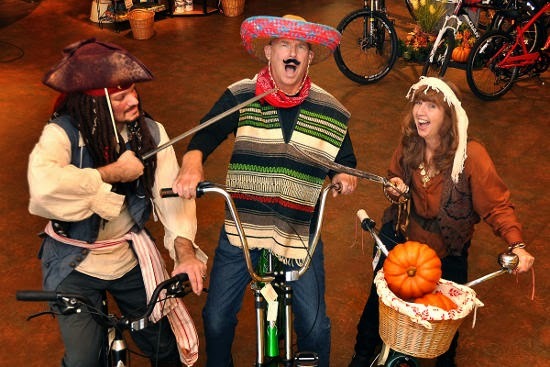 PLEASE NOTE: Due to a special event, all three Century Cycles stores will be open from 10:00am until 3:00pm this Saturday, October 5, 2013. Sorry for any inconvenience!